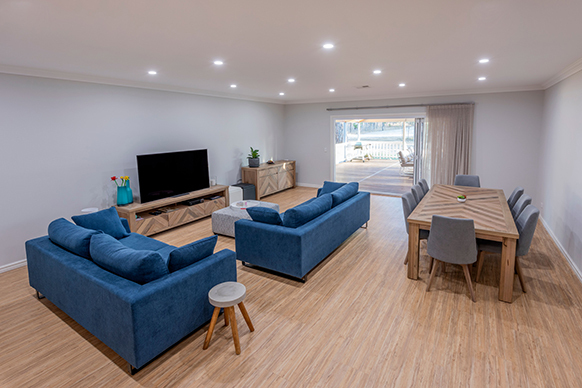 Kitco’s wall frames, roof and floor trusses are engineered on a job-by-job basis to ensure everything is structurally sound and meeting the correct Australian building standards. We also have many years of building experience in a variety of different locations, each with different environmental factors to consider. It’s safe to say you’ll be getting a product that can withstand anything that’s thrown at it! Quality control of our home structures are a high priority and something we pride ourselves on. Kitco offers elevated ceilings at a height of 2.7m as standard for a roomier, more spacious feel to your home. 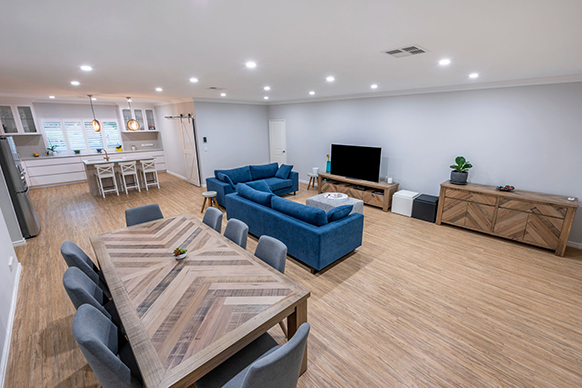 Additionally, because of our in-house fabrication, we have complete control over any height adjustments you may want to incorporate throughout your design. Kitco provides Polytech’s innovative selection of laminate benchtops – select from a wide range of colours. Kitco’s cabinetry inclusions are installed by award-winning cabinet makers using quality materials from the extensive range by Polytech. 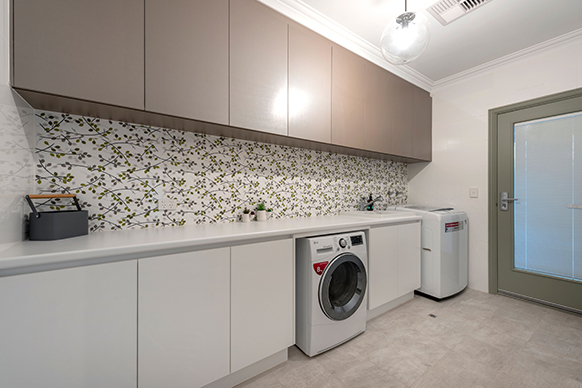 Kitco can also source 20mm quartz stone benchtops from Caesarstone® for a durable, stylish and low-maintenance finish to your benchtop areas as an alternate option. 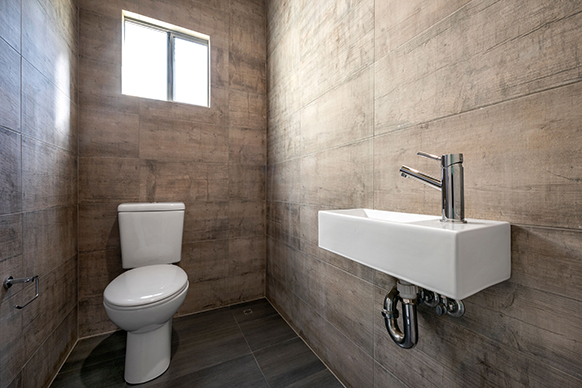 Kitco have been working closely with Reece Plumbing and Bathrooms for years, ensuring our homes receive top quality service and first-class products throughout their kitchens, bathrooms and laundries. Reece have built a respected reputation for their durable and stylish tapware and accessories and are one of our trusted suppliers. We supply premium stainless steel appliances as a standard in all Kitco kitchens, sourced from the quality range by Westinghouse. 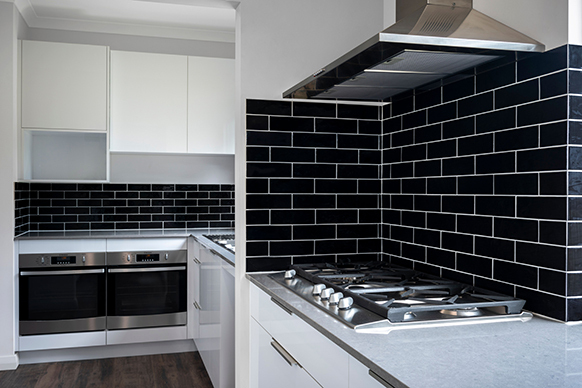 Our kitchens feature a 900mm under-bench oven, 900mm gas hotplate and a 900mm canopy rangehood. Kitco also supply and install various other electrical appliances, brands and styles to suit the needs and preferences of our clients. Included in all Kitco homes is a tiling supply allowance of up to $44/m2. 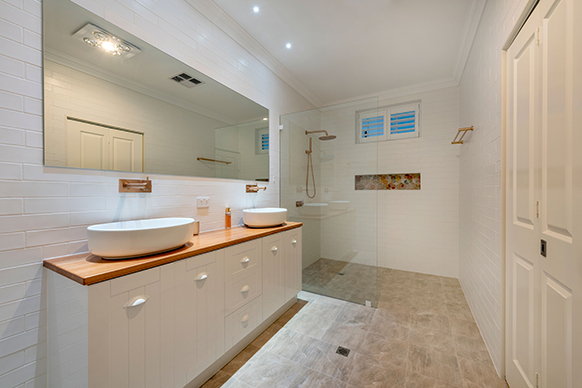 This includes your choice of non-rectified tile supply, plus mitred tiling and installation of oversize tiles up to 600mm x 600mm to the floors and walls of all wet areas. Kitco offer LED lighting throughout our homes as a standard which comprise different light colour options and fittings. Create a home you will love to live in – talk to us for a free-quote on your Kitco home build.